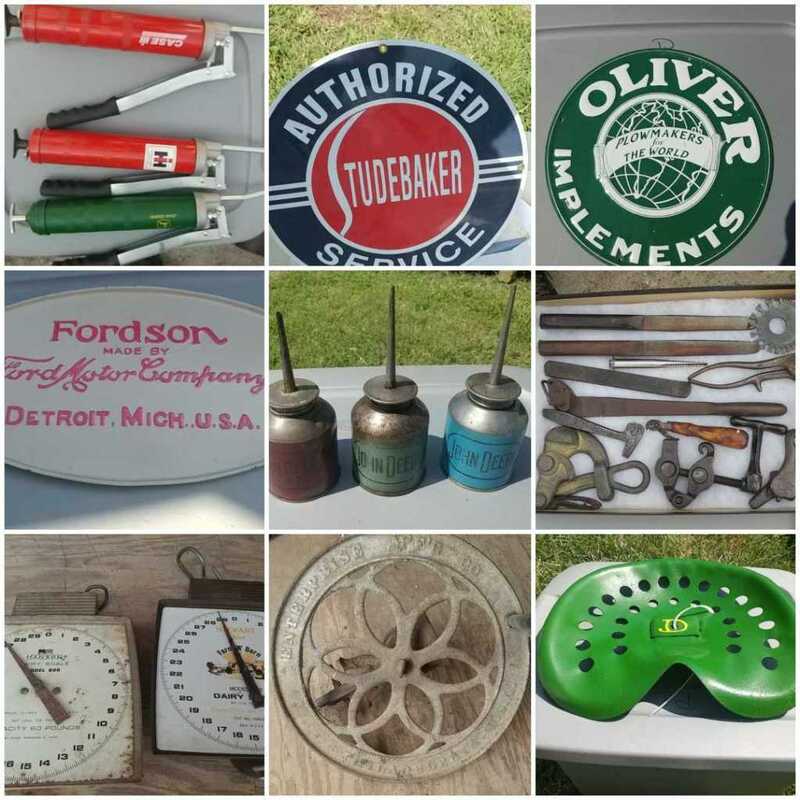 To include: Pulling Tractors, Oliver Tractors, Detroit Engines, Pedals Cars, Tractor weights and MUCH MORE!! 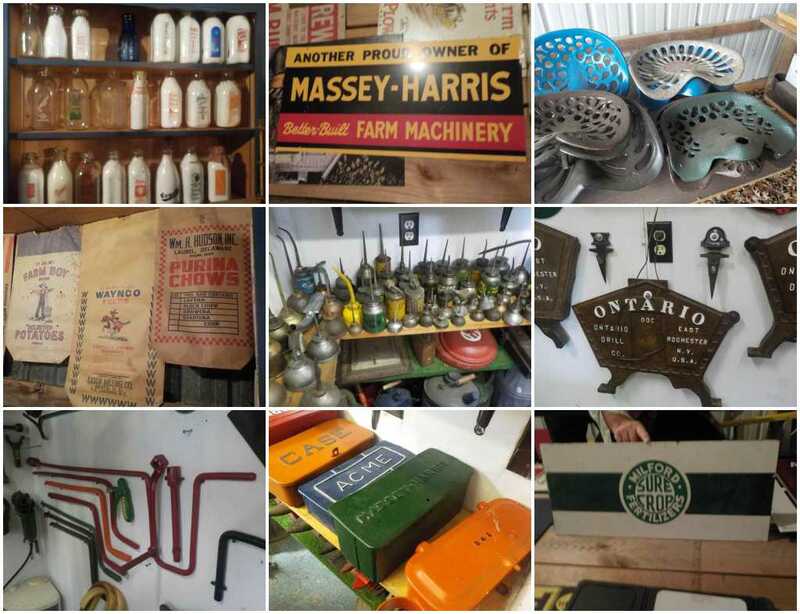 After years of collecting The Carlisles' are downsizing the amazing collection of oil cans, signs, cast iron seats, milk bottles and much more. 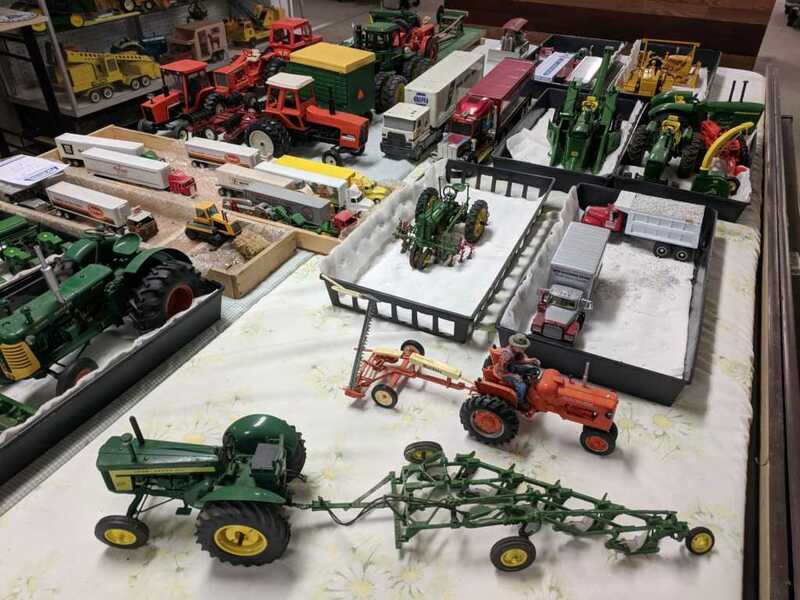 An assortment of farm toys, many different scales 1/6, 1/8, 1/16, 1/24, 1/28, 1/32, 1/50, 1/54 and more. 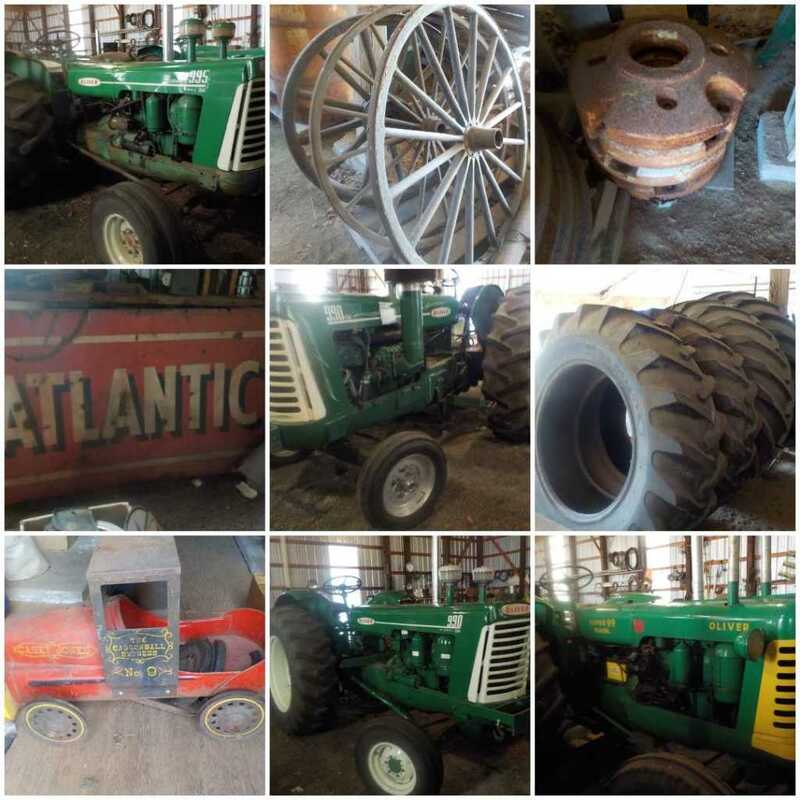 John Deere, International, IHC, White, Oliver, Ford, Allis Chalmers, Steiger, Caterpillar and more others. 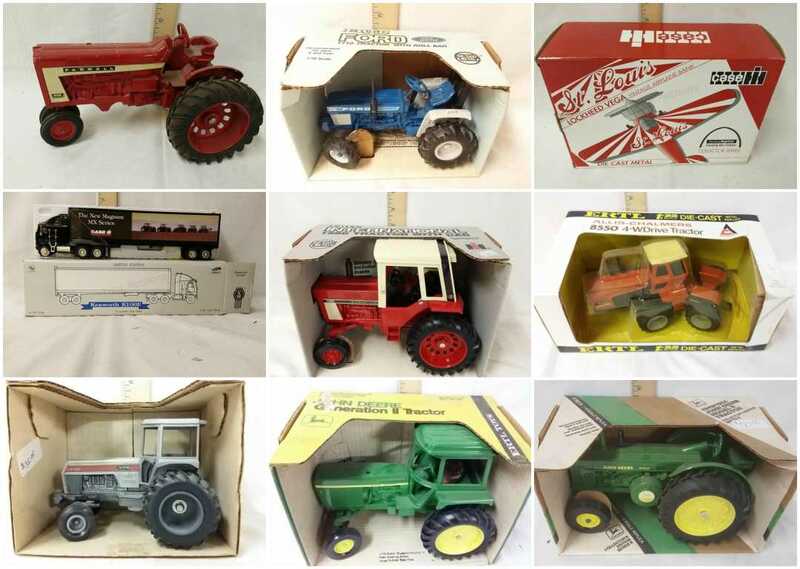 Also a few smaller farm displays as well. 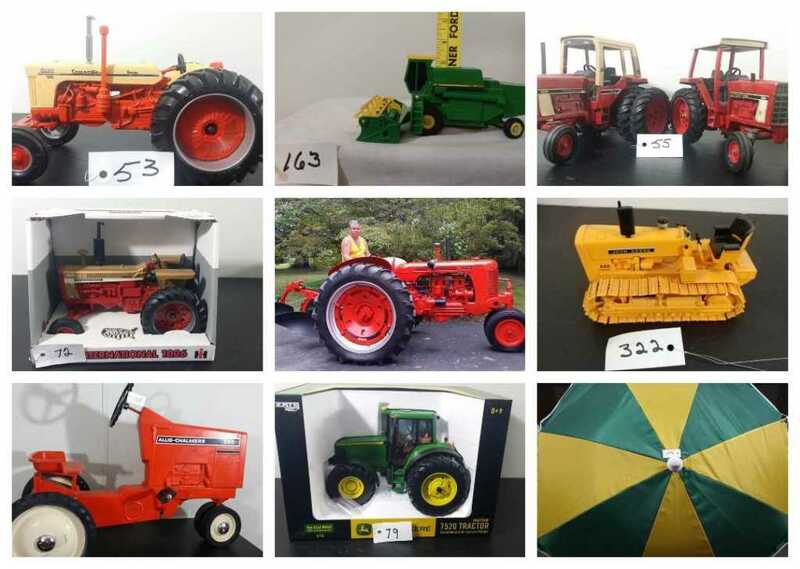 All scales of Farm Toys 1/8, 1/16, 1/32, 1/50, 1/64 and more. 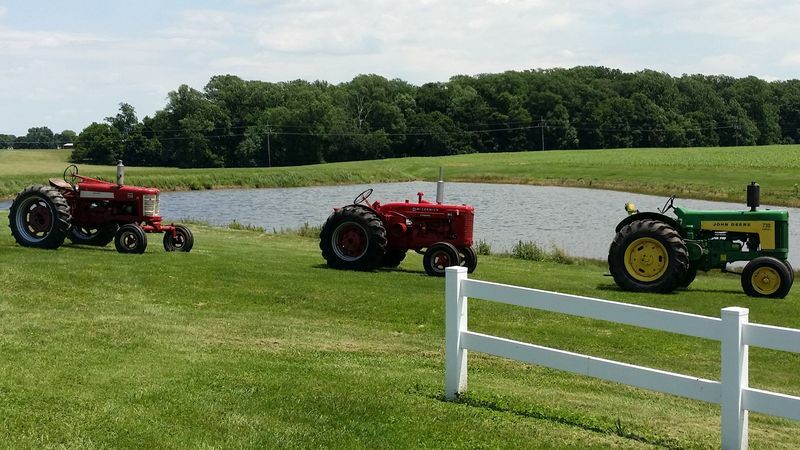 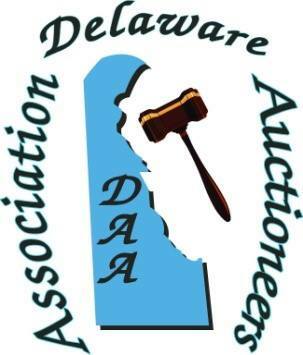 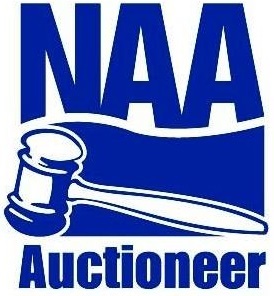 All Name Brands Ford, Case, Case IH, IHC, Ford, White, Duetz- Allis, AC, JD and more. 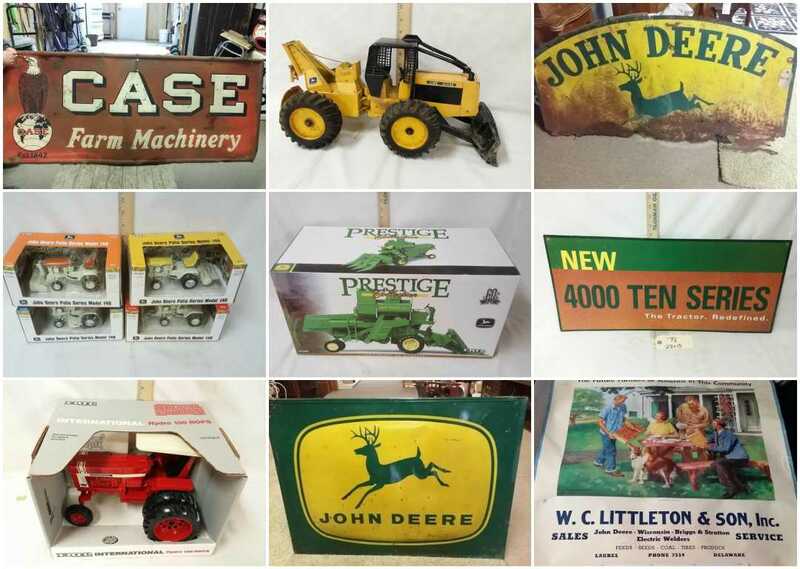 Farm Literature, newer signs, etc..
John Deere & Case Signs (from a dealership), All scales of Farm Toys 1/8, 1/16, 1/32, 1/50, 1/64 and more. 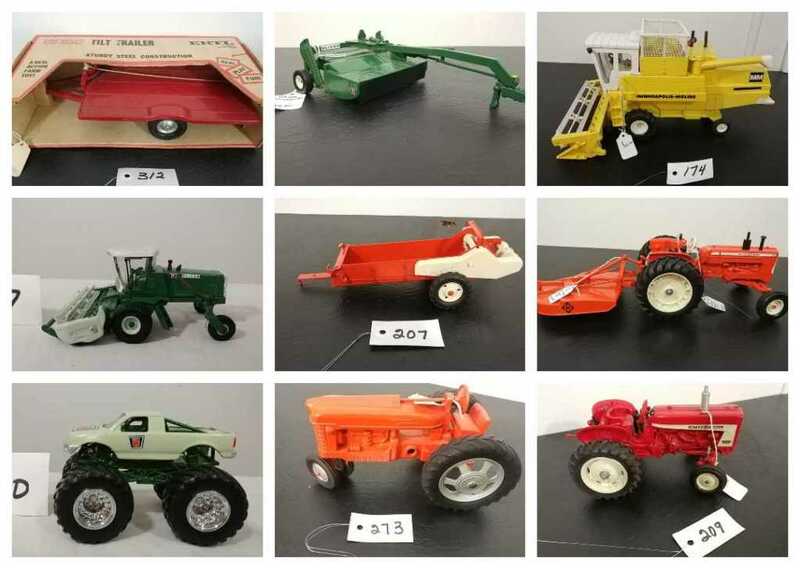 All Name Brands Ford, Case, Case IH, IHC, Ford, White, Duetz- Allis, AC, JD and more. 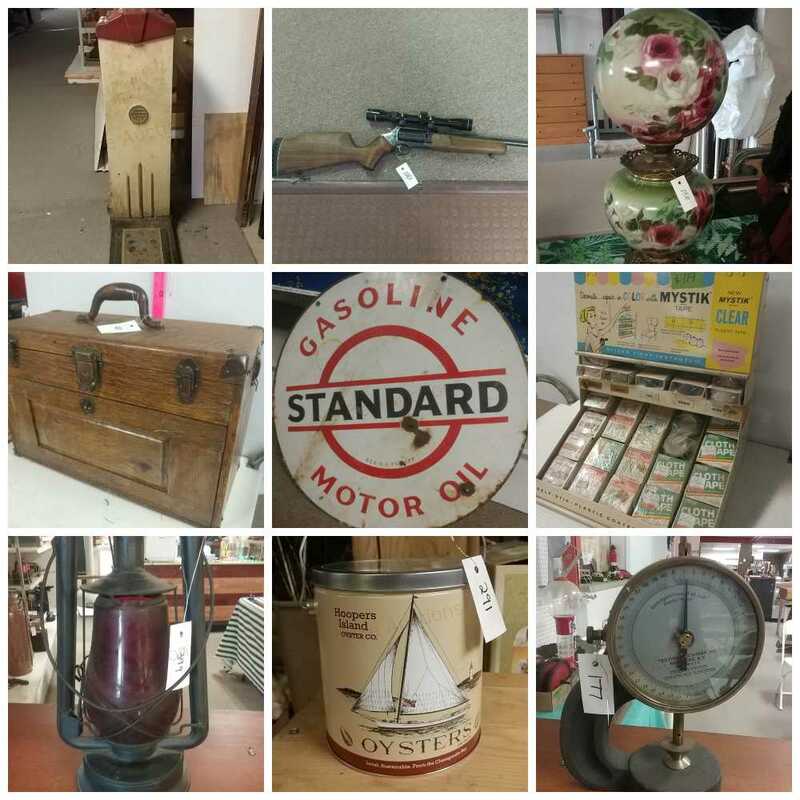 Cast Iron sets, etc..